Bean sprouts are a good food source for vegetarians and meat-eaters alike. Because a sprouting or germinating plant needs certain nutrients for growth, sprouts are rich in proteins, amino acids, vitamins and minerals. Although mung bean sprouts are one of the most commonly consumed bean sprouts, many varieties are available and all offer potential human health benefits. Bean sprouts have a high vitamin C content because they're seeds in the process of sprouting. As a seed begins to grow and travel through the soil to reach the open air, the sprout turns sugar into vitamin C, which is a potent antioxidant that helps protect the new sprout when it reaches the open air. Because of this aspect of a plant's life cycle, there's significantly more vitamin C in a gram of sprouts than in a gram of mature bean plants, with one cup providing about 14 milligrams of the vitamin. One cup of mung bean sprouts contains only 0.11 gram of fat, making them nearly fat-free. Because of this, bean sprouts are good choice if you're on a low-fat diet or tying to lose weight. A 2006 study reported in the journal "Diabetologia" found that a low-fat diet was beneficial for sustained weight loss in a group of Finnish adults. This study, led by Jaana Lindstrom, also stated that a low-fat diet reduced the risk of developing or worsening type 2 diabetes. One cup of mung bean sprouts also contains 125 milligrams of potassium, which is essential for the healthy function of your organs, tissues and cells. As an electrolyte, potassium helps energy transfer and muscle function, and is also vital for heart health. 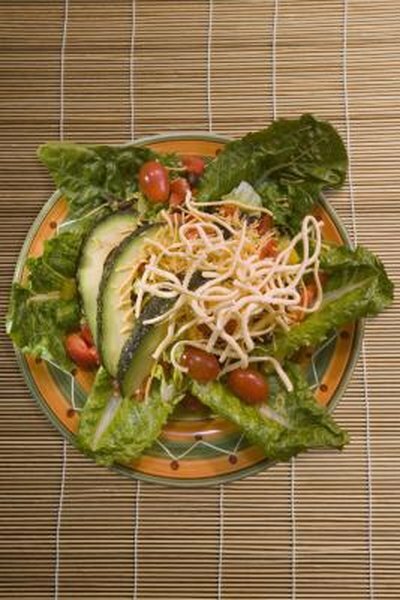 Many potassium-rich foods are either meat or fish, so bean sprouts are a good potassium source for a vegetarian diet. Unlike some potassium-rich foods, bean sprouts also have a low sodium content, which can be helpful if you're at risk or already have high blood pressure or heart failure. In unsalted bean sprouts, the sodium content is 12 mg per cup.